The Rochester Rhinos have announced season ticket prices for the 2007 season and they have rolled back the prices on a variety of locations. Club seats in sections 106-108 were $600 in 2006 and will be $450 in 2007. Sections 101, 102, and the Supporter's Sections in 131 and 132 will now be priced at the end zone bleacher price of $125. 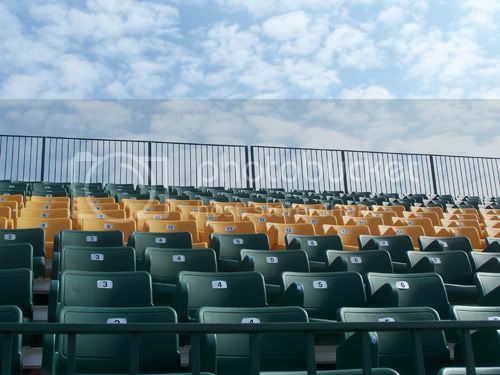 The Endzone bleachers (sections 115-118) will remain at the price of $125 per seat. The Upper Sideline (sections 303-311) and Lower Corner (sections 112-114, 119-123, and 129-130) seats will remain at the price of $215 per seat. Premium seats (sections 103-105, 109-111, and 124-128) will remain at the price of $250 per seat. It will be interesting to see what the designation of sections 131 and 132 as Supporter's Sections will mean for the group of supporters that had seats in section 125 this season. But, it nice to see the Rhinos reacting to less than expected ticket sales by adjusting the pricing of at least a portion of the seats for the 2007 season.